The technical expertise of an enterprise is of no value unless it gets converted into meaningful business solutions for its partners. Not only does an organization need to understand the expectations of its business partners, but also the end-customers. This compels the organization to keep abreast with the most advanced technology. Consistent change in technology is a derivative of new software solutions hitting the market every day. As a service provider, you need to integrate communication and data services with the systems of your business associates to stay ahead of your counterparts. Whenever technology becomes the weak link of a company, the business is bound to suffer. The deployment of the latest software solutions helps you make your presence felt despite tough competition. Vcall Global understands that every contemporary organization needs to deliver its best in terms of performance despite the pressure of deadlines and cut-throat competition. 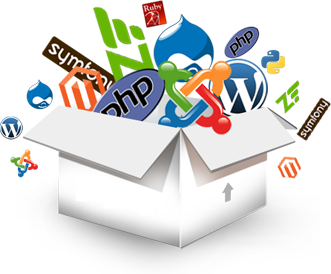 We provide our clients with end-to-end software development solutions. Our ability to design, delivery models that enhance business profits allows our clients to leverage on our distinguished capabilities. We utilize our experience and operational knowledge of various industries to convert our efforts into sizeable revenue for our clients. We aim to provide software solutions that go beyond fulfilling the conventional objectives of business. The flexibility of our solutions helps you tread ahead despite business challenges. We specialize in software solutions for multiple industries like healthcare and retail sector. The telecom companies have also received radical improvements in their processes from our telecom billing software solutions. At par with global standards in terms of usability and quality.